This post deals with vermicompost, something you'll have a whole lot of once you start raising worms. Needless to say, vermicompost is more potent and therefore more vaulaable than simple compost. Most everyone can compost they're leaves, clippings and vegetable clipping. Few people know how to vermi-compost. That's where you come in. As you grow worms, you create (or, rather, your worms create) literally tons of this stuff. When you've used all you can and have the most lush landscape in your county, it's time to start selling it to other gardeners and horticulturists. 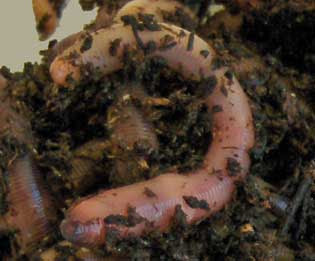 As described in the previous post in this series, Garden Culture is vermi-compost in which there are a significant amount a worms and worm capsules present. If you have a thriving worm selling business, you probably want to extract every last worm and worm capsule (egg) of your used bedding and sell just this vermi-compost. 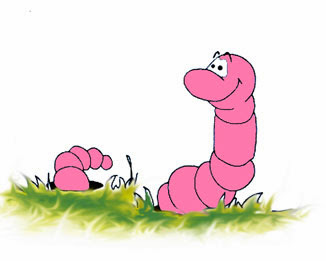 Vermicompost is good, worm castings are Grrre-At! This series' five subjects are listed from the most vaulable worm farming commodity to the least valuable. Therefore, your pricing should reflect this. Vermicompost is an excellent worm farming by-product to sell locally, but because of it's weight and lower price, it's not a product that sells very well online. The shipping is just too expensive. But, you should be able to sell all you have to local farmers, landscapers, home gardeners, etc. From the sale of your vermi-compost and/or garden culture, you can probably regain the entire cost of worm bedding, worm food and other expenses plus make a profit. That's one reason worm farming is such a great business. It's not only eco-friendly, but everything you put into it (and everything the worms put out) turns into money. Ready To Start Your Own Worm "Money Machine"? For a step-by-step guide to starting your own worm farming business, check out my Worm Farm Manual: A Step-by-Step Guide to Raising Earthworms for Fun and Profit. 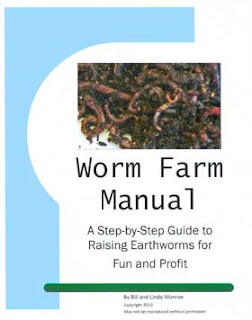 It's not rock science, but worm farming does require a certain amount of know-how. With the right knowledge, you can save time and money as you build your own home based business. Avoid costly mistakes, have all the worm growing secrets right at your finger tips. Start making money quickly and get started on the right track today. Order your download or hard-copy now.